Rob founded Wildfire Marketing, a consulting practice that has attracted numerous bestselling authors, including Dr. Gary Chapman, DeVon Franklin, Lysa TerKeurst, Wanda Brunstetter, Dr. Harville Hendrix, and Dr. John Townsend. In addition, he’s consulted with imprints of the world’s best-known publishers, such as HarperCollins (Thomas Nelson, Zondervan), Hachette (FaithWords), Simon & Schuster (Howard Books) and numerous small to mid-sized publishers. Rob’s consulting expertise for authors stems from starting out a successful multi-published writer himself. In 2002, he self-published his first book and generated a consistent six-figure income, long before the rise of social media and Amazon. His book was later purchased by a traditional publisher, sold over 50,000 copies, and remained on bookstore shelves for over 10 years. His success attracted the attention of other authors who sought out Rob for marketing advice. This led him to found Wildfire Marketing in 2007 and provide marketing education to authors around the world. 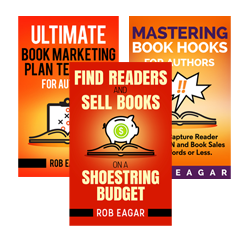 In addition, Rob partnered with Writer’s Digest to publish Sell Your Book Like Wildfire and teach his popular online video courses, Mastering Amazon for Authors and Sell Books on a Shoestring Budget. Rob has served as a contributing writer and educator for Book Business Magazine, Digital Book World, Writer’s Digest, and Reedsy. His national media appearances include interviews on the CBS Early Show, CNN Radio, and the Los Angeles Times. 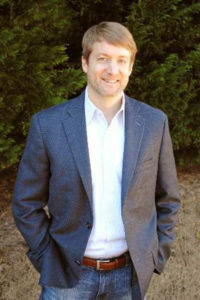 His background includes a marketing degree from Auburn University and 10 years of corporate sales experience before working full-time in publishing. Rob has been married to Ashley the Wonderful for 19 years. When he isn’t consulting, you can find Rob fly-fishing for monster trout, breaking 40mph on his road bike, or loudly playing his drums. Ashley would prefer that he join her to quietly paint, work in their garden, or watch Jane Austen movies. They reside near Atlanta, Georgia.